Derek Zoolander surprises fashion world, turns left? At 00:42, the alleged left turn is clearly confirmed as a fake. Derek Zoolander with a quick Blue Steel before turning left. In what might be the most shocking news of the day, Derek Zoolander has allegedly just turned left. Fashion fans in attendance at the Valentino Women's show at Paris Fashion Week were lucky enough to bear witness to this historic event. The international male model superstar walked the runway with enemy-turned-friend and incredibly hot right now, Hansel. But the two haven't been seen since their unexplained departure from the modeling world back in 2001. Perhaps the two have been sipping Orange Mocha Frappuccinos and plotting their triumphant return to fashion. Along with strutting the catwalk, Hansel and Derek posed with Anna Wintour for what just might be the fashion world's version of the Holy Trinity. Rumors within the industry have been bubbling about fashion's dynamic duo returning for quite some time. And with that return slated for February 12, 2016, this surprise appearance is just what the world needed to tide us over for another year. UPDATE: Upon review of official video, it has been confirmed that Derek Zoolander has NOT turned left. Early footage proved fashion trickery, showing what appeared to be a left turn. 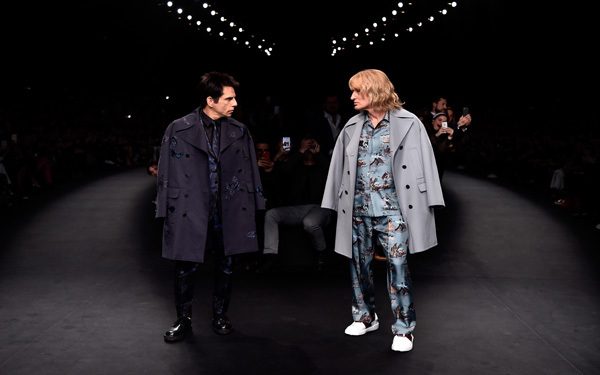 But now it is definite; Derek Zoolander pulled a rightward spin move (like a basketball player), pushing him down the left flank of the catwalk. Devastating news....devastating.